Google is famous for its relentless A/B testing, a technique for making constant incremental improvements by testing one small change against the previous version to see which is more successful. You can apply this model to your own work habits too. I call it A/Me testing. Don’t change everything at once. Introducing too many risk factors into a successful project or system is dangerous. 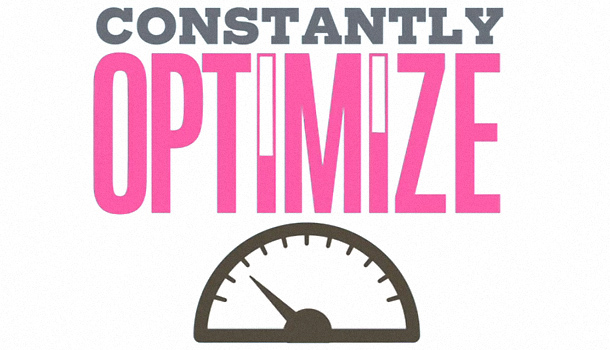 They key to optimization is making incremental tweaks in a controlled and measurable way that allows you to revert if needed. Scott is the author of the national best-selling book Making Ideas Happen and CEO of Behance, a company that develops products and services for creative industries. Behance’s products include the Behance Network, the world’s leading platform for creative professionals to showcase their work, and The 99%, a think tank and annual conference focused on leadership and execution in the creative world.